We have taken over 1,200 authors to Bestseller! Mikal Masters’ Blindsight will soon be the latest! Blindsight – A Quantum Life in a Human World, details what Mikal Masters calls “The Human Disease.” Blindsight is somewhat of a rhetoric on how centuries of limiting belief systems have undermined the true potential of humans as beings of intelligence and energy or as Masters defines it, “Intellergy.” Shedding a light on how human brains have become unaware of their own energy and aura, the author uses deep-rooted concepts from Quantum Physics, Neuroscience, Epigenetics and Neuropharmacology. Having extensively researched these topics, he aims to find a cure for “The Human Disease” in order to help everyone elevate their consciousness and revel in the energy of their intergalactic brain. The book is a transformative journey for readers, as it will help them expand their potential and rise above mediocrity. 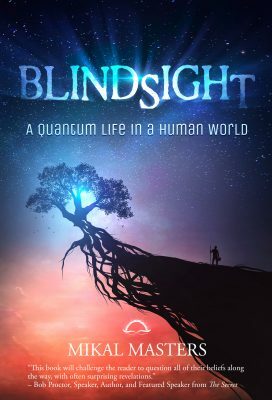 Blindsight is a comprehensive guide with tangible resources to help humans live life as fully culminated beings of soul and energy. 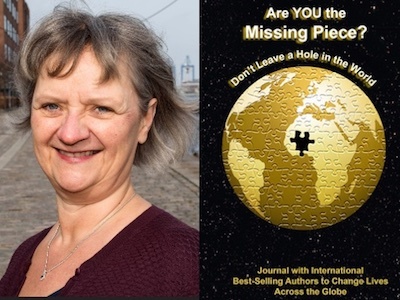 Jette Bilberg Lauritsen is featured in Expert Insights’ #1 Int’l Bestseller, Are YOU the Missing Piece? Jette Bilberg Lauritsen is a Poet, two time International Best-Selling Author and a Health and Wealth Coach. Kyle L.B. 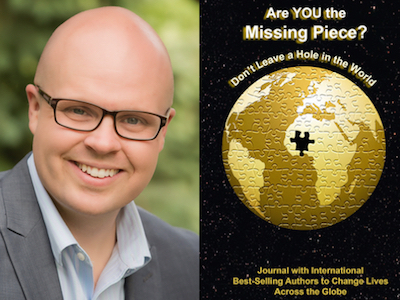 Morey is featured in Expert Insights’ #1 Int’l Bestseller, Are YOU the Missing Piece? Kyle L.B. Morey is an Award-Winning, International Best-Selling Author, Speaker, and father of the Furious Five! With his family, Kyle is currently wandering the planet as a world-schooling parent. 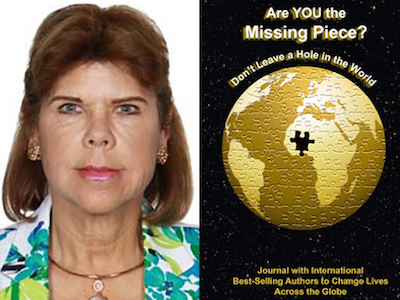 Juracy Johnson is featured in Expert Insights’ #1 Int’l Bestseller, Are YOU the Missing Piece? Juracy Johnson is a Best-Selling Author, Speaker, Coach and Founder of “Proyecto M” – a Guided System for Latin American Women who want to create their success. 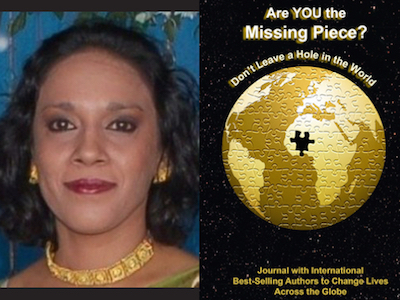 Vatsala Shukla is featured in Expert Insights’ #1 Int’l Bestseller, Are YOU the Missing Piece? Vatsala Shukla is a Career and Business Coach, Author and Change Catalyst for professionals who want to achieve their career aspirations with life balance. We have taken over 1,200 authors to Bestseller! 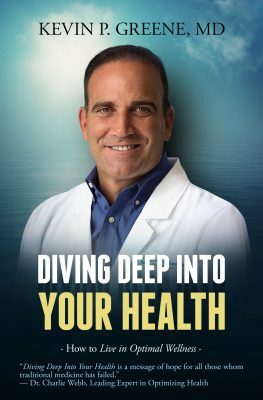 Dr. Kevin P. Greene’s Diving Deep Into Your Health will soon be the latest! Kevin P. Greene, MD. graduated from Yale University in 1990 with a BA in Chemical Engineering. He then went to medical school and graduated from Georgetown University School of Medicine in 1995. Dr. Greene completed his Internal Medicine Residency Program at the University of Connecticut where he earned Intern of the Year in 1996. Diving Deep Into Your Health is a comprehensive guide with strategies that can be easily adapted to each individual. The book identifies ‘Seven Pillars of Optimal Wellness’. These seven pillars encompass Dr. Greene’s immense knowledge not only as a highly qualified doctor, but also as an expert in preventative and alternative health techniques. The book helps readers develop a more enthusiastic attitude towards health management, while providing valuable yet easy-to-use resources. According to Dr. Greene, the precedent for all health and wellness techniques is to be proactive about health and setting preventative measures in place. Not only does he provide effective insight on paying attention to the body’s responses to different factors, he also documents his own health and wellness journey. He shares all details of his personal experience with adapting to a sustainable wellness approach. 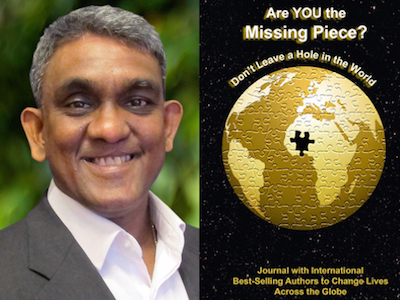 Dr. Sundardas D. Annamalay is featured in Expert Insights’ #1 Int’l Bestseller, Are YOU the Missing Piece? Dr. Sundardas D. Annamalay is CEO of NTC Alliance Group of Companies, Amazon Best-Selling Author, Award-Winning Entrepreneur, Professor of Natural Medicine and a Naturopathic Physician.